We know as educators of the importance of school attendance. But what do your families know about it? 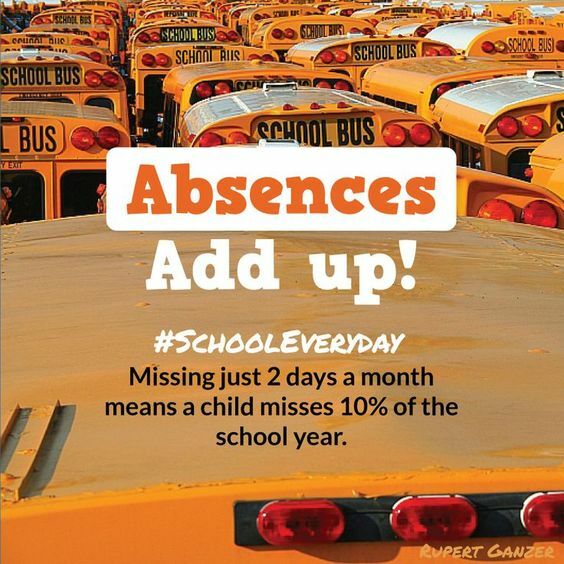 For the last three years our school has had a school-wide push for attendance - not just being at school, but coming on time AND staying all day. Attendance Works is an amazing site, full of printables and information to use with your families. The Attendance Committee at my school (which I chair) has used the graphics and printables, ready to print and send home. With ESSA, attendance is a large piece of accreditation. Attendance Works has a part of their site to explain the difference between truancy and chronic absenteeism. Our school had a problem with attendance and we knew we must get it under control. Our committee started having homeroom teachers chart their perfect attendance on coloring sheets. For every day they have 100% attendance AND on time, they colored in a letter. After the word was completely colored in, their class had extra recess or hat day or eat lunch in the classroom. The charts have longer words and beginning on the third chart, if a student leaves early, they can't color in a letter. Our chronic absenteeism in our school has dropped in the last two years! 1. This bulletin board has just been put up in the front lobby of our school (ignore the off center and not straight letters). A second display case has a picture of all of the children who had perfect attendance during the first quarter of the year. 2. 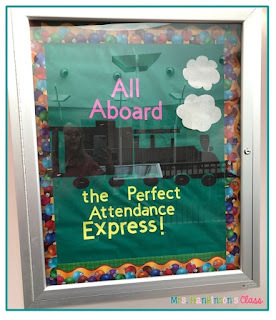 Classes with perfect attendance are announced each morning. We cheer when we hear our name! 3. We have created and/or used parts of the literature on the Attendance Works site to educate our families. Here's a link to the attendance pages that we use in our school.